Delivery & Installation of Tropitone Patio Furniture in Aurora, IL! 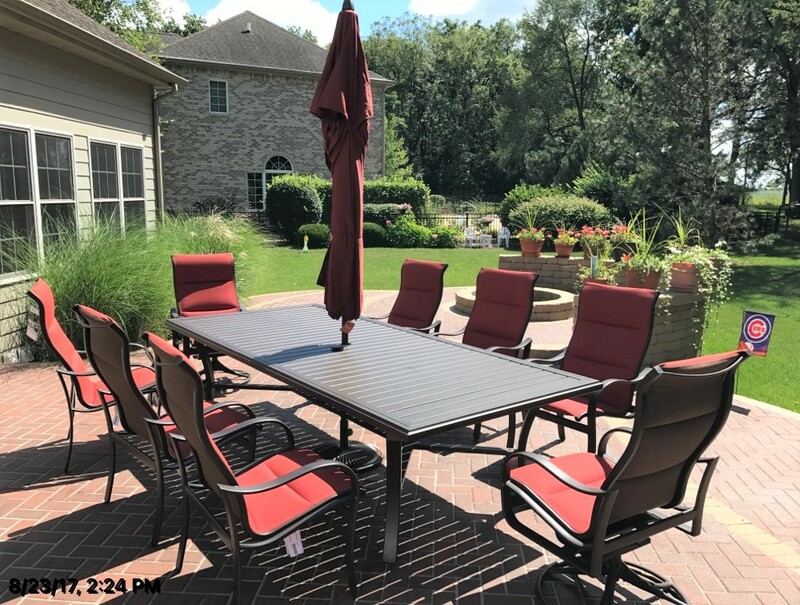 Transmotion delivered and installed Tropitone patio furniture in Aurora, IL! This delivery included a Banchetto 108″ x 48″ Rectangular KD Dining Umbrella Table, 6 Shoreline Padded Sling High Back Dining Chairs, and 2 Shoreline Padded Sling High Back Swivel Rockers! Our team strives to do an exceptional job with every delivery, assembly, and installation. We hope you let us deliver and install your next purchase of patio furniture!